Art on the Rooftop: A Party to Benefit Northern Spark — Saturday only! 2018 Creative City Challenge Launch – Friday Only! 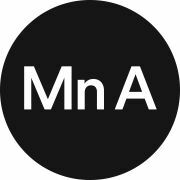 Northern Spark 2018 Opening Performance – Smart Wars: Mni Wiconi Alliance — Friday only! Join Northern Spark’s 8th annual benefit party! Indulge yourself with artisanal food and drinks while listening to music from a local DJ. Experience Northern Spark up close with exclusive access to artist-led projects. Surround yourself with art! Join the five artists of Carry On Homes, Peng Wu, Shunjie Yong, Aki Shibata, Preston Drum, Zoe Cinel as they talk about their installation with Mayor Jacob Frye. With Funktavism (fun activism), you are invited to join the Smart Wars: Mni Wiconi Alliance to eradicate the Black Snake (oil pipelines) and corporate tyranny. The Applause Posse, a performing duo using voice, guitar, other portable instruments for the sole purpose of showering people with musical compliments. In the Ties that Bind, we challenge you to hold the tension with or without a partner as you weave yarn into a story. A Buffalo Nation: Creating Community emphasizes the idea of a shared space on Turtle Island, also called North America. A collaboration between Keith Braveheart and the Native American Community Development Institute, A Buffalo Nation is a participatory art project that responds to the common threats to our environment and cultures. Empathy Mutual is open! Withdraw what you need from this free-standing teller’s booth. Currency takes the form of notes of encouragement and affirmation. Witness how our paths cross, intersect, repeat, and cycle as we all traverse these cities - through the power of SPOKEn word poetry. Highlighting commonalities that many Americans have in ancestral settlement, this work celebrates the significant cultural and economic impact of immigration in the United States. Carry On Homes at The Commons is an installation hosting immigrants in Minnesota. Come explore home through participatory events, performances, and community gatherings. Tolansu Dansu is a multi-layered interactive dance space for social change inspired by Japanese bon dance, designed by Akiko Ostlund. Through the Glass Eyes dissects systems of extreme government surveillance in the community of North Minneapolis and beyond. This multifaceted performance, sculpture, and mural debunks systemic stigmas by projecting the true narratives of Black community. Minneapolis Athenaeum's artist-in-residence, Paige Dansinger, recreates native Minnesota common urban edible botanical plants in virtual reality with members of Best Buy Teen Tech Lab. Stop by the Dayton Y for any of our digital fitness experiences, a dance fitness class at 12am, and fun fitness games and challenges! Arduino controlled and people powered, come weave with us to explore human-machine collaboration, textile manufacture, consumerism, factory life and arcade games. Celebrate the common vessel. Step up to a mobile glass blowing studio and help create a glass drinking vessel of your own design. A democratic platform focusing on connecting artists, Mn Artists allows for many definitions of commonality. Along with guest curator, Adja Gildersleve, Mn Artists brings these connections to Northern Spark through a film screening. Free Kin relates to the commonality between oppressed peoples. We are family/kin and our future is freedom. Join the Museum of Minneapolis in exploring the festival theme of Commonality. Through two maker stations Speak Up and Stand Up participants will add their voice. Local writer-geographer Bill Lindeke takes you on a guided walking tour of noteworthy nooks, semi-historical doorways, obscure sidewalks, and lost alleys of Nicollet Avenue. Ever wonder where in the Central Library should you look in to find books that are banned in prisons? In the “Section of Disapproved Books,” of course. This is a project from the Native perspective, of the unspoiled natural resources of the Boundary Waters, and the commonality we seek to find whilst protecting and honoring the Earth. 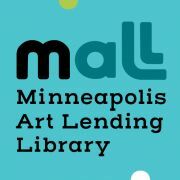 This exhibition showcases the artists of the Minneapolis Art Lending Library. View the show and learn about MALL's mission of sharing the joy of art! Explore the dark stacks of The Night Library to unlock hidden narratives and bring untold stories to life. The Archive asks for healing - come and contribute an apology and a pardon to our collective body of remorse. Bored of the same images and ideas in traditional magazines? Create your own media through zines! This radical artform makes YOU the author and publisher. All are welcome! Paint your flag and add it to participatory paintings that capture the perilous journeys of immigrants and refugees, and the givings of global immigrants to American society. FALLS is a ride: a dance that is a cheerful re-contextualization of the physical exchanges that will meet us all someday when we grow old. Celestial Amnesia: a Passage to Peace creates a link between vibrations of light, sound and healing, connecting our inner rhythms of mindfulness with the outer pace of our busy high tech surroundings. This showcase builds off their unique STREET SHOW collaboration, which pays local artists to perform in downtown public spaces in order to build a downtown street performance culture where a wide range of genre and performance is valued for its impact on our common downtown experience.